A candidate forum was held at the South Cobb Community Center on May 5 to help residents of Mableton and Austell make informed decisions for the May 24 elections. The forum featured candidates for the state legislature, county commission chair, school board, state and superior court judges, and sheriff. This is the second article in the series, and includes the candidates for state court judge, posts 3 and 4. The state court handles misdemeanors, some civil cases, and search and arrest warrants. Each of these posts are voted on countywide. First the candidates for Post 3 took the microphone. The next set of judicial candidates were campaigning for the Post 4 seat in state court. 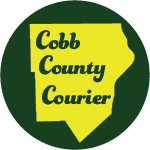 Be the first to comment on "2016 candidate forum for south Cobb — state court judges"